The letter states that more than 80% of the trees planned for replacement with native shrubs have been classified by an arborist as being in poor or fair condition. We made a sunshine request for the arborist’s report. It summarizes previous evaluations of trees “adjacent to areas of high use such as streets, playgrounds, adjacent to properties and parking lots.” This is not where trees have been designated for removal by SNRAMP. Therefore, Hort Science’s evaluation is irrelevant to tree removals designated by SNRAMP. The arborist’s report is based on a non-scientific and non-representative number of trees in the four natural areas. Only 800 trees were sampled and their condition evaluation was more severe due to being adjacent to areas of high use. Take Mt Davidson for example. An extremely small sample of 78 trees were in the Mt. Davidson Park tree risk assessment completed by HORT Science in July 2012. All of them were adjacent to the perimeter parking area or the bus stop. None of these trees were actually in the 10-acre area of the park designated up to 82% tree removal for SNRAMP. In Stern Grove, Hort Science evaluated trees in 2003. It says “While approximately 1,000 trees were inspected, we tagged 284 trees as having significant defects (28% of trees). Of those 284 trees that Hort Science evaluated as having “significant defects” 225 were Blue Gums. In other words, Hort Science did not find that 80% of Blue Gums in Stern Grove were in “fair or poor” condition. As Hort Science says, Blue Gums in San Francisco were all planted around the same time. Therefore Blue Gums in Stern Grove are about the same age as the trees evaluated by Hort Science in the “four natural areas” (attached). Mr. Ginsburg states “These areas support an array of native habitats and species, some found nowhere else in the world, such as the San Francisco Garter Snake and the Mission Blue Butterfly.” These two species are not found the in the natural areas designated within the City limits of San Francisco. Instead, there’s an ongoing program to reintroduce the Mission Blue Butterfly to the Twin Peaks area by moving dozens of butterflies each year from San Bruno Mountain, which has a thriving population. In the five years since it started, the results are uncertain. 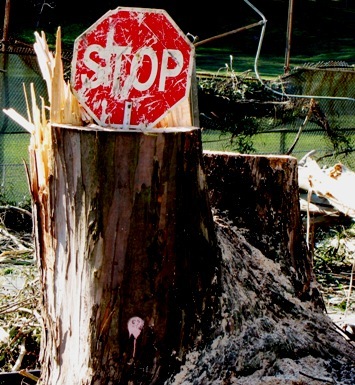 In fact, there are no endangered species in the parks designated for tree removal. The native species that are present are found throughout the Bay Area. There’s also no evidence that native species of birds and animals favor Native Plant gardens. 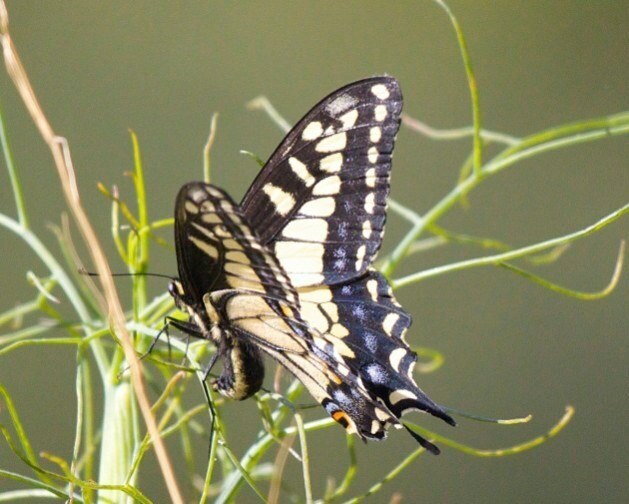 The native Anise Swallowtail butterfly relies on fennel, a plant frequently targeted for toxic herbicide applications. Native birds such as the Great Horned Owl, the red-tailed hawk, and various woodpeckers nest in eucalyptus trees. 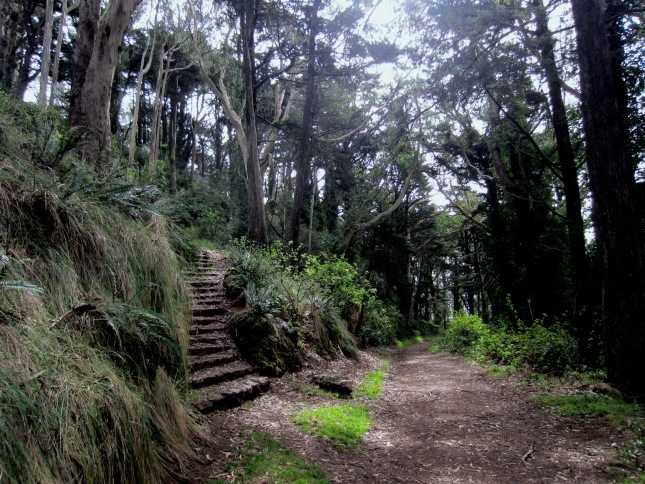 In fact, the variety of habitats – including dense forests like that on Mt Davidson – have helped expand the number of species found in San Francisco. What is endangered in San Francisco’s parks are its trees and the public’s access to them. Could post your letter to Phil Ginsburg and his letter in response? One more note, there should be no guess work when it comes to the city’s use of toxic pesticides? A while ago the SF Dept of the Environment indicated it tracks usage and would make the reports publicly available online. Is there a link to the reports? If not, please public the department head, email and phone number. Thanks, Dave.